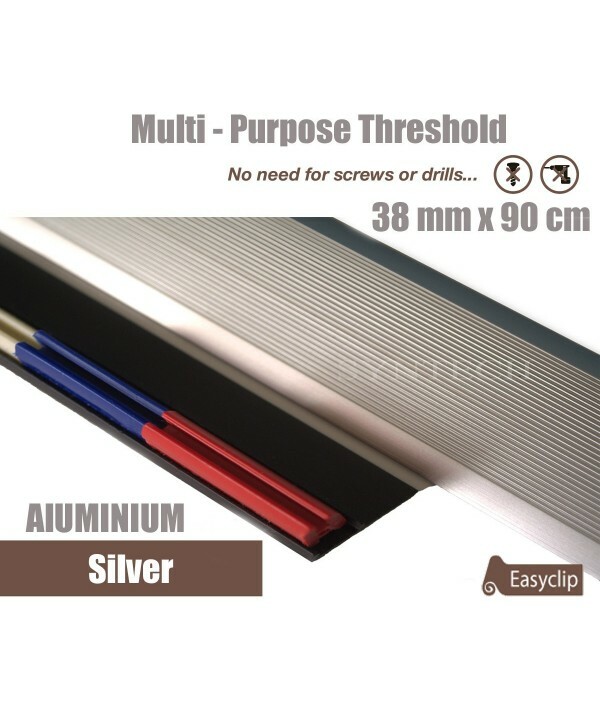 Perfect for fitting any floor type including Laminate, carpet, Wood, Ceramics & Vinyl up to 24mm in height.. 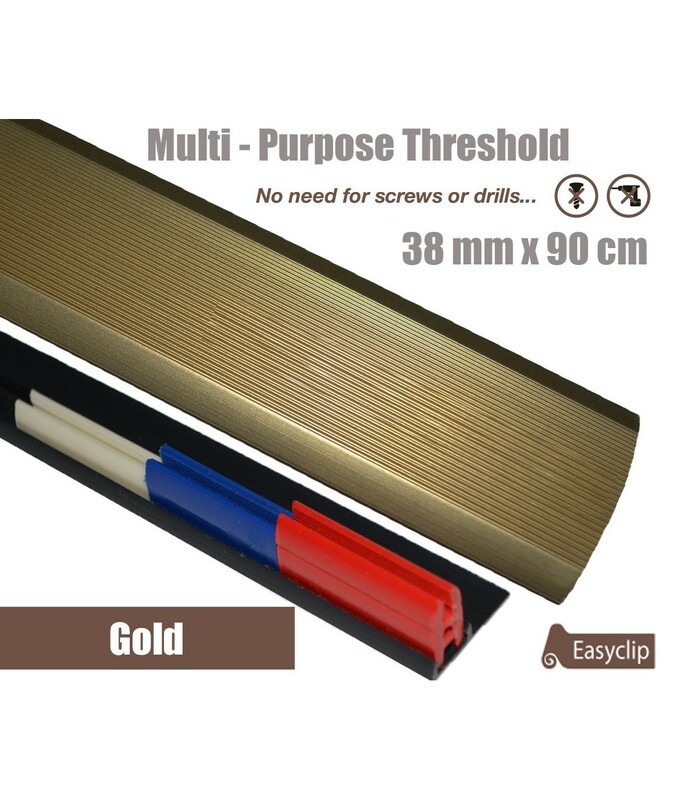 Suitable All Floor Types, Laminate to Carpet, Laminate to Tile, Laminate to Vinyl, Laminate to Laminate, Tilt to Tile, Tile to Carpet, Tile to Vinyl, Laminate to Stone, Tile to Stone, Stone to Carpet, Stone to Vinyl, Tile to Wood, Laminate to Wood, Tile to Wood. Feature No screws or drilling, gluing or pinning required for fitting But can even be drilled and screwed down in extreme cases where the floor surface is bad. Fitting System Easyclip - 4 small white clips, 4 medium blue clips, 4 Large red clips, Clips allow height adjustment. Perfect for fitting any floor type including Laminate, carpet, Wood, Ceramics & Vinyl up to 24mm in height. 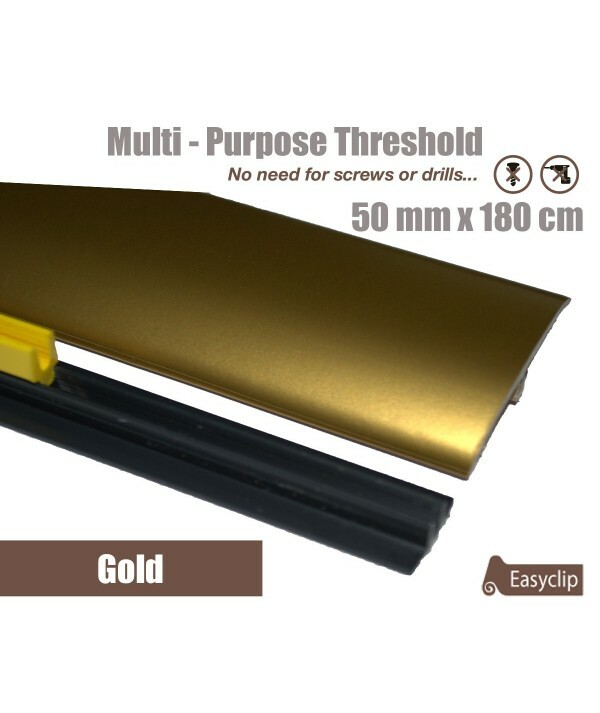 The Easyclip system allows for simple fitting of the threshold strip without the need for screws or drilling simply stick snap clip and your done, the perfect Finnish to any floor Type. 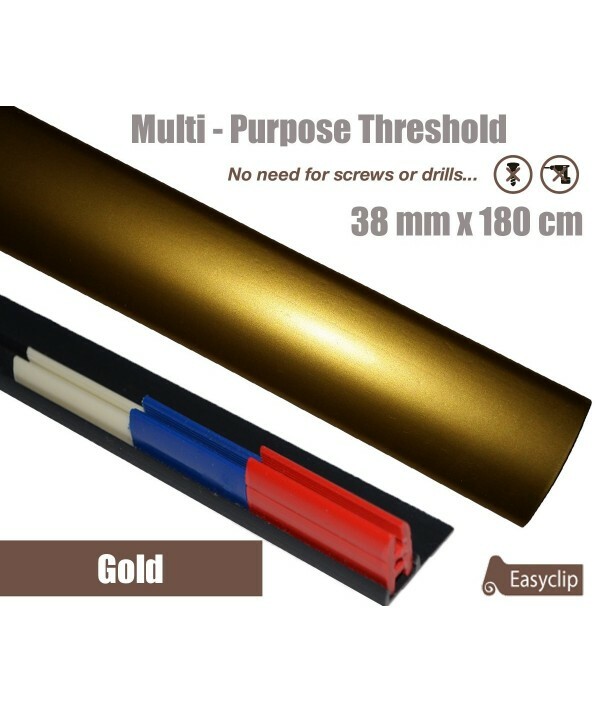 Great service and good product. THANKYOU!